The author of this extraordinary true story is a gifted wildlife photographer and nature writer living in Alaska. Nick Jans seeks to tell the story of the black wolf with accuracy, equanimity, and forthrightness. But his love for the wild creature who befriended his dogs and those of other residents of Juneau, and even forged relationships with some humans, is as deep as the Alaskan winter snow. 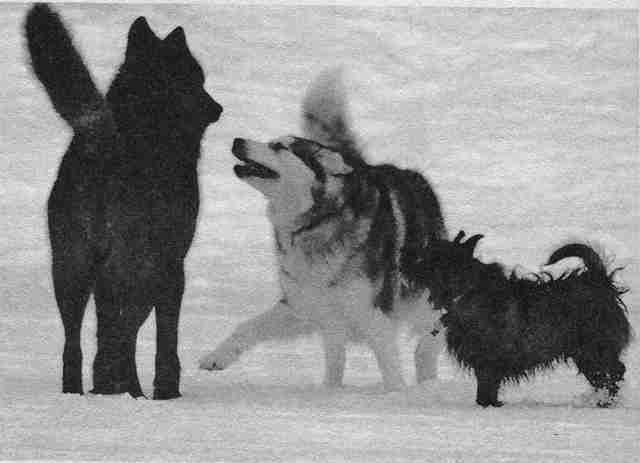 The story began one afternoon when Jans was skiing on the frozen Mendenhall Lake and spotted the unmistakable tracks of a wolf. 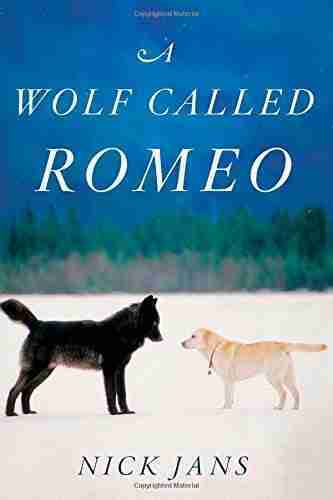 In the ensuing days, he finally met the enormous lone male wolf, whom his wife later nicknamed Romeo, and began the now legendary years of interaction between the wild and the so-called civilized. 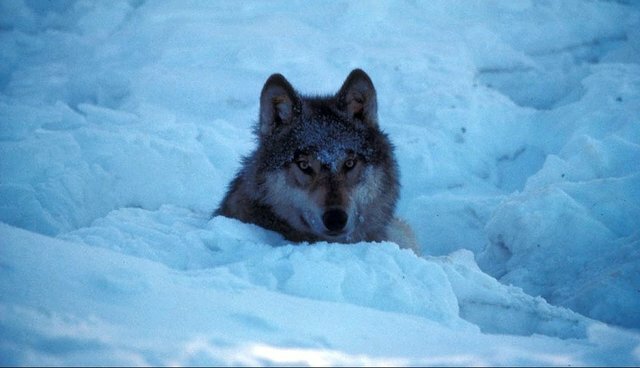 As Jans notes, and as anyone who cares about wildlife understands, wolves have had the short end of humanities' stick for centuries, being blamed for destruction they have not caused, and feared for violence they would not commit. The malignancy of wolf hatred has not abated. Even a vice-presidential contender bragged of her support of aerial wolf hunting, and Alaska in particular has defended the rights of hunters to eradicate competing predators, i.e., wolves and bears. Biologists overall have concluded that such intrusion will not have the desired effect, but that doesn't stop the bloodlust. So why, in the midst of an anti-wolf world, did this enormous fellow decide he wanted to make friends with domestic dogs and even a human or two? The theories abound, as does the controversy. Romeo becomes a local celebrity, inspiring crowds of onlookers, some of whom have questionable common sense and others even more suspect intentions. Every autumn that Romeo returns to the glacier, Jans worries that it will be his last. With so much attention focused on him, there is bound to be someone out there itching to bring him down. One silver lining in Romeo's tale is the group of friends who come together over his welfare and do their best to protect him. The bond that forms among the humans and between the wolf and the community is almost metaphysical in its intensity. There truly does seem to be something supernatural at times about Romeo. Jans observes him even walking on water: "At last the wolf stepped forward - not into the water, but onto it - and as I watched, he trotted across the lake, each step raising a silver-white plume and the spreading vee of a wake to mark his passing. At the far side, the wolf paused, a shadow among shadows, and merged into the night. "Of course, the wolf was actually walking on two feet of ice beneath water from a recent thaw. But the image is unforgettable. Because Romeo was thoroughly wild, without any food conditioning or previous captivity to explain his friendliness, his behavior was astounding, and offered a unique opportunity to view the wild culture he inhabited. His curiosity, empathy, and yearning to connect opened that door. Fortunately, we have people like Jans around to keep the door ajar. Visit www.booksforanimallovers.com for more information about this and other animal books.